The Sun Coast Osteopathic Foundation, formerly Sun Coast Hospital Foundation, is an independent, 501(c)3 non-profit public organization with a mission to improve the health and quality of life in Largo and surrounding mid-Pinellas County, Florida. Its emphasis on health education, disease prevention, research and service is consistent with the organization's Osteopathic heritage. Foundation promotes community health awareness programs that advance the health and well-being of families and individuals of all ages. Our primary focus supports education through scholarships for Osteopathic medical students, with a priority to those being educated here and intending to practice in the mid-Pinellas community. A parallel scholarship program is open to applicants participating in allied health and nursing educational centers. 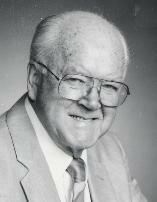 Dr. Alan J. Snider, D.O. grow into the Sun Coast Hospital. In five decades, the hospital grew from a 24-bed facility to a full-service, 200-bed acute care medical and surgical non-profit teaching hospital. ​The life and times of Dr. Snider are intimately intertwined with the founding of the hospital, which ultimately became for-profit upon its sale in 2008. Dr. Snider passed away on December 2, 2014 in Largo at the age of 103 years old. He is survived by his wife Charlotte. For more information about our programs and services, please contact us at 727.483.0661 or email The Foundation.